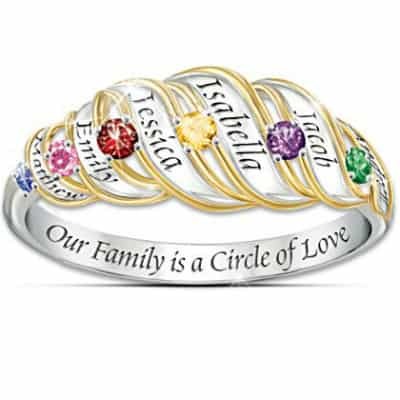 Grandma or Mom will treasure the sweet sentiment and striking good looks of this personalized ring! 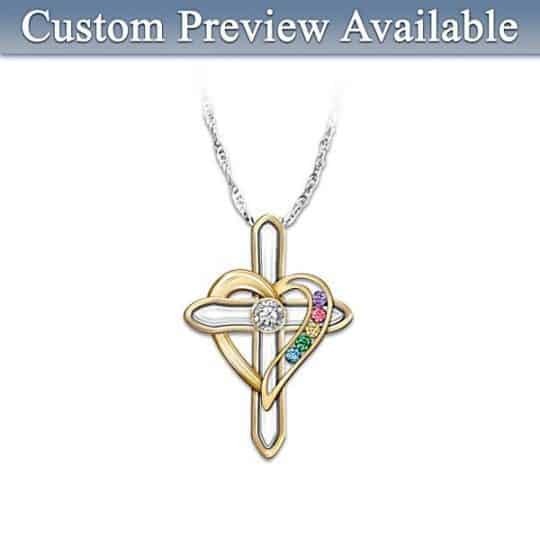 Heart-shaped ring features up to 4 birthstones accented with 2 genuine diamonds. Inside of the band is inscribed, “Family is Forever“.